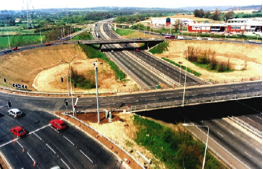 Major urban highway continuous improvement project involving bridges, flyovers, underpasses and pedestrian facilities and retaining structures. Includes production of feasibility studies for various options for improvements, traffic modeling and forecasting. Assessment of scheme economics and environmental effects. Liaising with all interested parties.